What better retirement benefits can you get than these? Working for Jesus Christ really does have its perks! We get a new body. 1 John 3:2 Beloved, now we are children of God; and it has not yet been revealed what we shall be, but we know that when He is revealed, we shall be like Him, for we shall see Him as He is. We share Christ’s throne. Revelation 3:21 To him who overcomes I will grant to sit with Me on My throne, as I also overcame and sat down with My Father on His throne. We share His glory. 1 Peter 5:4 and when the Chief Shepherd appears, you will receive the crown of glory that does not fade away. You will receive eternal life! Revelation 2:7 I will give to eat from the tree of life, which is in the midst of the Paradise of God. God be praised! Join Him, surrender your life to Jesus Christ and be saved, share His everlasting retirement benefits. I pray you are blessed by God and are called to His eternal kingdom. Preaching the Word of glory! Amen! Please join me and INOE in prayer on the International Day Of Prayer For The Unsaved-2017 August 20th. There are approximately 6 billion unsaved people on the earth. The world is ripe for the harvest! 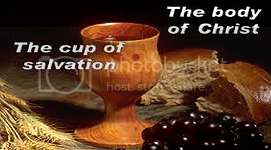 Categories: Evangelism | Tags: Christianity, eternal life, follow Christ, fruits of the Spirit, glory of the Lord, God's throne, heaven, Jesus Christ, Kingdom of God, preach the Gospel, redemption, rest for the soul, salvation, Truth of God | Permalink. Through internet evangelism this message of the Gospel of Jesus Christ is proclaimed to the unsaved of the world. There are great rewards awaiting those who respond to Christ! By this Gospel you are saved. This is the good news of the kingdom of God. Christ died for our sins according to the Scriptures. He shed His blood for the remission of all the world’s sins past, present, and future. He sacrificed Himself for us while we were yet in our sins because of His great love for mankind. Christ became our eternal atonement! Christ was buried but His body never saw the corruption of the grave. We are buried in a watery grave by baptism in memorial to His being buried. Christ rose from the grave on the third day according to the scriptures and ascended to His new throne of glory. We are raised a new creature to a newness of life and our citizenship is forever in heaven. None can come to Christ unless God the Father draws them to Him. When you are drawn to Christ you must repent and confess that you are a sinner. If you are reading this and you have never been saved then you are being drawn to Jesus Christ at this moment. You have a crown waiting for you don’t lose it by not responding to this call to salvation now! HE WILL GIVE YOU THE VICTORY! There are Christian churches all over the world. There is probably one very close to you and their doors are open to anyone who wants to attend every Sunday. Go and feel something you will never feel anywhere else. If you need help contact me through my prayer requests page. 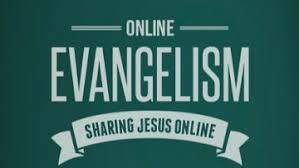 Categories: Evangelism | Tags: eternal life, Evangelism, faith, follow Christ, God's love, God's throne, gospel of Jesus Christ, grace, heaven, internet evangelism, Jesus Christ, Kingdom of God, preach the Gospel, preaching salvation, salvation, spreading the gospel, Truth of God, unsaved of the world | Permalink.